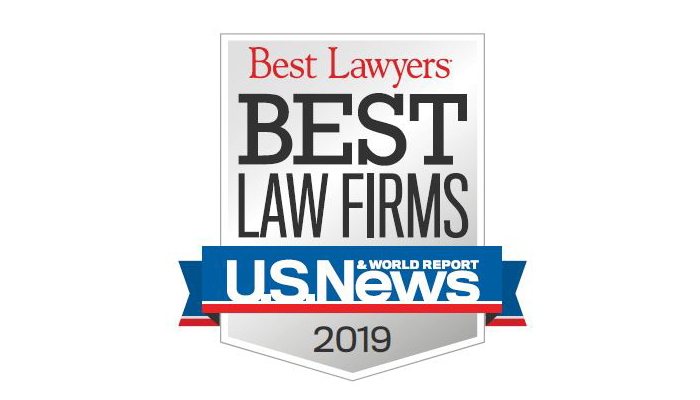 Husch Blackwell was recognized as a National Tier 1 firm in eight practice areas in 2019 U.S. News & World Report and Best Lawyers “Best Law Firms” rankings released today. Best Law Firms also recognized Husch Blackwell with 71 Metropolitan Tier 1 rankings in 11 cities and a total of 129 Metropolitan Tier rankings in 12 cities. The 2019 edition of Best Lawyers in America, released in August, listed 143 Husch Blackwell attorneys, including eight named “Lawyers of the Year” in their respective practices. The U.S. News and Best Lawyers “Best Law Firms” rankings are based on a rigorous evaluation process. A tier designation reflects the high level of respect a firm's lawyers have earned among clients and other leading lawyers in their practice areas and communities.